BEAM: Tell a bit about Ashley’s Playhouse. 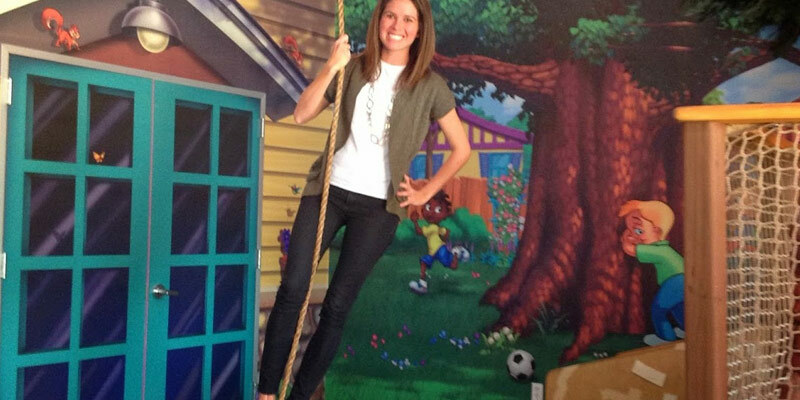 Ashley’s Playhouse, Ashley: We’re a drop-in child care center for kids ages six weeks to twelve years old. A drop-in child care center means that we don’t have the same kids every day. Parents drop off their children, fingerprint in and out, and they pay by the hour for the duration of the stay. We’re considered an alternative to a babysitter. On weekday nights, we’re open from 7 AM to 10 PM, and until midnight on Friday and Saturday. BEAM’s gaming projector been great for us because we don’t have the same kids every day. 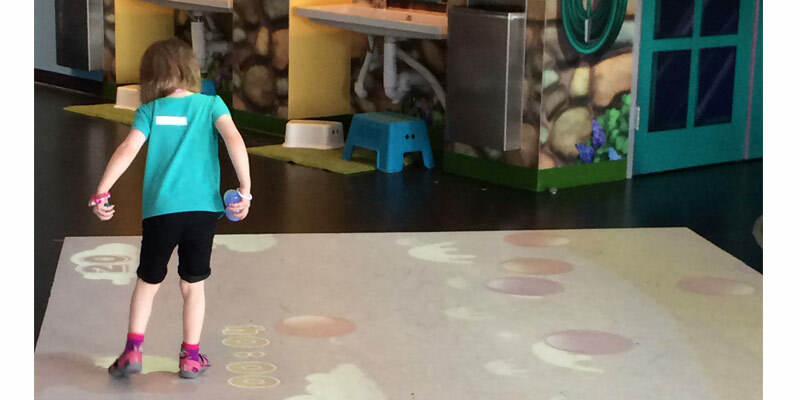 The kids that come on a regular basis are excited to see the new games, and it’s been a huge hit for new families when they come in and see it. It’s right there in the front room, so it’s a big attraction. BEAM: How long has Ashley’s Playhouse been open? Ashley: Since February 2014, and we’ve had BEAM since December 2014. It was my Christmas present to myself and the day care. BEAM: And what need were you looking to fill when you got it? Ashley: It was part of my original business plan. As soon as I was in a position to get it, it was my first big purchase. I wanted something fun and exciting for the kids to do. At Ashley’s Playhouse, we pride ourselves on having this magical center and this adds to the fun for the kids. It helps us keep the place fresh and let parents know we were investing money into keeping the place exciting. I also wanted something to reward the kids who’d been with us from the beginning, to get them excited again. BEAM: And how has it been working out? Ashley: It’s been great. Since Ashley’s Playhouse is a drop-in center, we have to regulate how long electronics are on for, and so we only turn it on during certain times of the day. And it’s been great because the little kids like it and the big kids like it. It’s been raining here for the last two months, so it’s a way to keep kids active indoors and make sure they’re still having fun and running around. We have birthday parties on Sundays, and it’s been a great hit there, too. The kids love the balloon-popping game, and it’s funny, but the adults love it just as much as the kids do. Their favorite one, hands down, is the Cheese Heist game. The kids love it when there are new games-they get really excited to come in and try them out. So it’s been working out really well for us. Ashley: The parents think it’s really cool. As for the kids, one of the biggest requests is for us to turn on BEAM gaming projector. That’s how we get them to clean up at the end of the day, by using it as a reward. It’s been a good motivator. Ashley: The staff isn’t really affected. Once a month, we repaint the floor. We painted the floor white, and the paint gets chipped. We didn’t want to roll out a mat, because we roll out cafeteria tables every day, multiple times. Besides that, maintenance has been almost nonexistent. Once it went out during a birthday party and I called the support line and they got it running within 15 minutes, so that was nice. BEAM: What would you tell day care owners considering getting one? Ashley: I highly recommend it. It’s a way to keep the day care center fun and engaging. It’s a huge attraction for new customers and a selling point, because not lots of places have them. It’s a competitive advantage. The kids love it and the parents love it, and it’s just a good way to use your indoor space. I’d highly recommend investing in one.